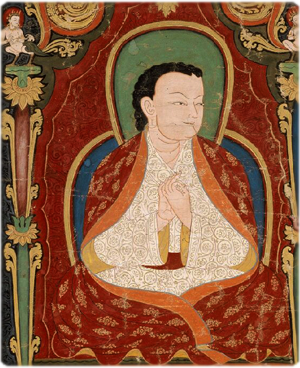 You are currently browsing the archives for the Sakya Trizin EN category. 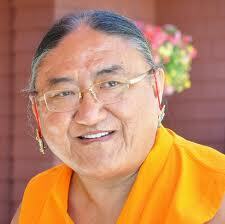 His Holiness Sakya Trizin: With the two together, method and wisdom, one can realize the true nature. One of the main teachings of the Buddha is the law of karma, the teaching that all the lives we have are not without cause, are not created by other beings, and are not by coincidence, but are all created by our own actions. All the positive things such as love, long life, good health, prosperity and so forth are also not given by anybody else. It is through our own positive actions in the past that today we enjoy all the good things. Similarly all the negative aspects, like short life, sickness, poverty, etc. and all the undesirable things are also not created by any outsider but by our own actions, the negative deeds we committed in the past. Perché e in che modo crearsi uno spazio ed un tempo per la meditazione in città? Preziosi consigli per la pratica quotidiana da uno dei massimi rappresentanti del Buddhismo tibetano: Sakya Trizin. Molte persone sostengono che è troppo difficile praticare il Dharma, soprattutto nelle grandi città, dove c’è molta distrazione e molta attività. Tuttavia, il Buddha ha dato molti insegnamenti proprio perché imparassimo a padroneggiare la nostra mente selvaggia. 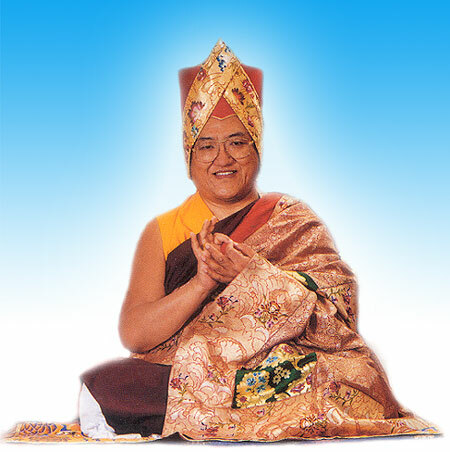 His Holiness Sakya Trizin: “Buddha Nature is within every human being”. There is a common misconception among many non-Buddhists (and even among certain Buddhists) that the Tantras are late and corrupt additions to the Buddha’s Teachings. This is false. The Tantr as are genuine teachings of the Lord Buddha, and they occupy a paramount position within the overall framework of Buddhist doctrine. 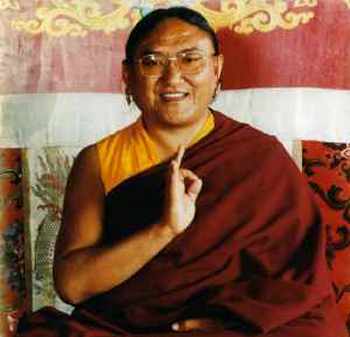 His Holiness Sakya Trizin: “We all possess the seed of the Buddha - the true nature of our mind is pure right from the beginning. All sentient beings have this seed”. Given on Monday, September 24th, 1984. Bristol, England. Tibetan Buddhism is one of the richest traditions as it contains all the different levels of teaching give by Lord Buddha: Hinayana, Mahayana and Vajrayana. 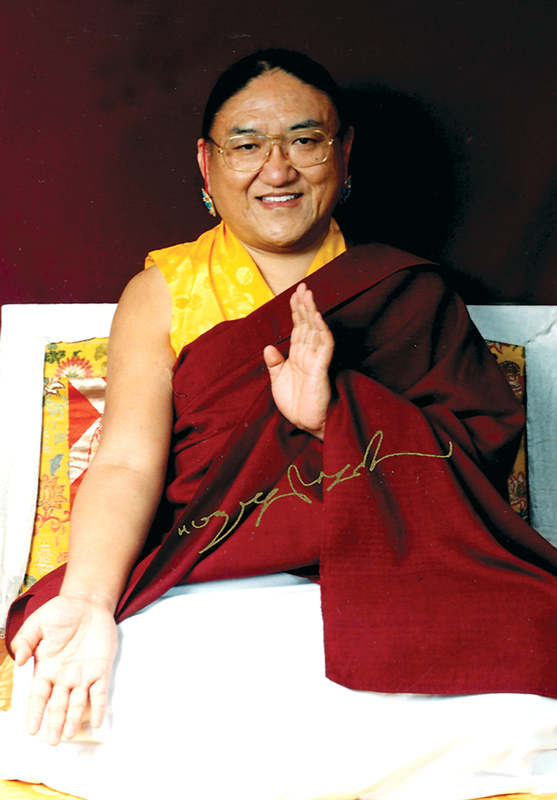 The teachings have now spread to many countries and many people are practicing them, which is good as they are the only source of benefit and happiness. Through the Buddhas great activity many different schools arose. In Tibet there are four major schools, They are like one family which has 4 jewels, if one jewel is lost, it is a great loss. Therefore it is important that all 4 traditions are preserved and continued. His Holiness Sakya Trizin: “By meditating on this precious human life and impermanence, you will be liberated from the sufferings inherent in this life.”. 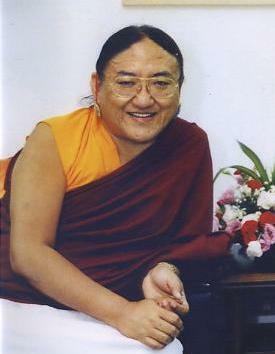 His Holiness Sakya Trizin: “The meaning of emptiness is not that phenomena do not exist. What is truly meant by emptiness is that everything that appears to our senses, absolutely everything, is interdependent ”. Emptiness as Expressed in the Heart Sutra. 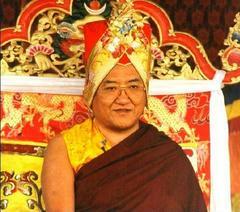 A Teaching by His Holiness the Sakya Trizin. 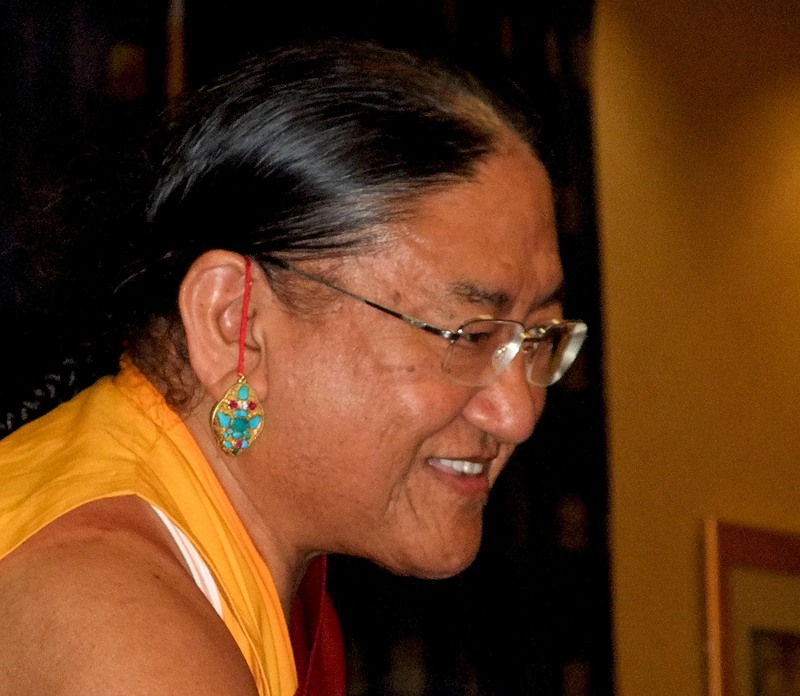 His Holiness Sakya Trizin: “The guide is the Buddha, and the Dharma is the path you need to follow to reach the destination.”. Following the Path, Reading the Signs.